Ratio is greater than 25:1 and the lab can't get more precise without a lot of work because of how acetaminophen shows up in their GC/MS. So, we've changed the ratio to 30:1 acetaminophen:hydrocodone and note that this is only accurate to plus or minus 10% in the ratio. 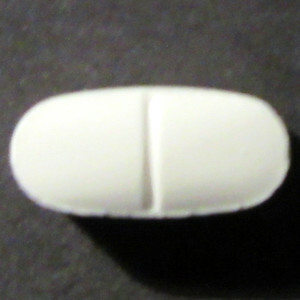 This could easily be a commercial 10mg to 325mg tablet. 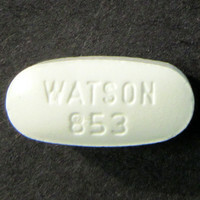 Oblong Watson 853 white tablet with break line on back.